Think dog-friendly workplaces are only found the in the USA? Take heart, New Zealanders, they’re moving closer to home…to our rival Australia. This is good news – because like it or not, New Zealand tends to look to Australia when it comes to things like health and safety initiatives. Every Friday, for example, workers at VicHealth enjoy Take Your Dog to Work Day. Clothing retailer Cotton On is also allowing office staff to bring their dogs to work. It’s a boost to morale and encourages workers to go out for walks at lunch breaks. And, when owners are allowed to bring their dogs with them, absentee rates decrease. Allowing dogs in the workplace is a ‘perk’ to attract and retain talented workers. Sounds like you, doesn’t it? This year marks the 100th anniversary of the start of World War I and commemorations are being held across the Globe. It’s a fitting time to remember the animals that served during the conflict. Pelorus Jack, a Bulldog, was the mascot of the HMS New Zealand. In fact, there were two Pelorus Jacks because the first mascot was killed and subsequently replaced. The first dog was a gift to the ship from a New Zealander living in England. He was named after the famous dolphin that accompanied ships traveling in the outer Marlborough Sounds between 1888 and 1912. He was killed when he fell down the forward funnel of the ship and was officially ‘discharged dead’ from the Navy on 24 April 1916. In his will he had requested that his successor be a ‘bull pup of honest parentage, clean habits, and moral tendencies’. The second Pelorus Jack, also a bulldog, was terrified of the noise of the ship’s guns. He achieved the rank of leading sea dog before his final discharge in October 1919. On his return to New Zealand, he was gifted to the City of Auckland along with his silver collar, a brass studded collar and leading reins. 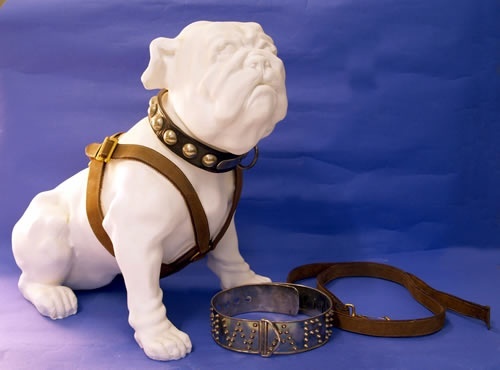 The Auckland War Memorial Museum holds these items in its collection, along with the collar of Caesar the Anzac Dog. Read my blog about Caesar here. Another Pelorus Jack collar is kept in the Royal New Zealand Navy Museum in Devonport. Feeding raw (or not) has to be one of the most controversial topics in dog ownership today. Consequently, the US Food & Drug Administration’s (FDA’s) recent warning to owners feeding raw is likely to generate some controversy. The FDA’s Center for Veterinary Medicine (CVM) screened over 1,000 samples of pet food for bacteria that can cause foodborne illnesses. (The illnesses are called “foodborne” because the bacteria are carried, or “borne,” in or on contaminated food.) The study showed that, compared to other types of pet food tested, raw pet food was more likely to be contaminated with disease-causing bacteria. Raw pet foods were included in the second year of a two-year study and the samples were from commercially available raw pet foods which were purchased online and sent to six different testing laboratories. The participating laboratories analyzed the raw pet food for harmful bacteria, including Salmonella and Listeria monocytogenes. Of the 196 raw pet food samples analyzed, 15 were positive for Salmonella and 32 were positive for L. monocytogenes (see Table 1). a Non-cat and non-dog food, such as dry pellets for hamsters, gerbils, rabbits, amphibians, and birds. b Included chicken jerky and pig ear-type products. (2) food treats shaped like bacon, fish, pork chops, and burgers. d Included pellet- or kibble-type food typically packaged in bags for retail sale.Note: CVM did not collect or test canned and wet pet food samples in this study. Thoroughly wash your hands with soap and water (for at least 20 seconds) after handling raw pet food, and after touching surfaces or objects that have come in contact with the raw food. Potential contaminated surfaces include countertops and the inside of refrigerators and microwaves. Potential contaminated objects include kitchen utensils, feeding bowls, and cutting boards. Thoroughly clean and disinfect all surfaces and objects that come in contact with raw pet food. First wash with hot soapy water and then follow with a disinfectant. A solution of 1 tablespoon bleach to 1 quart (4 cups) water is an effective disinfectant. For a larger supply of the disinfectant solution, add ¼ cup bleach to 1 gallon (16 cups) water. You can also run items through the dishwasher after each use to clean and disinfect them. Freeze raw meat and poultry products until you are ready to use them, and thaw them in your refrigerator or microwave, not on your countertop or in your sink. Carefully handle raw and frozen meat and poultry products. Don’t rinse raw meat, poultry, fish, and seafood. Bacteria in the raw juices can splash and spread to other food and surfaces. Keep raw food separate from other food. Immediately cover and refrigerate what your pet doesn’t eat, or throw the leftovers out safely. If you’re using raw ingredients to make your own cooked pet food, be sure to cook all food to a proper internal temperature as measured by a food thermometer. Thorough cooking kills Salmonella, L. monocytogenes, and other harmful foodborne bacteria. Don’t kiss your pet around its mouth, and don’t let your pet lick your face. 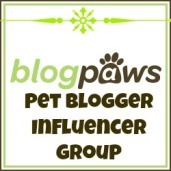 This is especially important after your pet has just finished eating raw food. Thoroughly wash your hands after touching or being licked by your pet. If your pet gives you a “kiss,” be sure to also wash your face. In my practice, I have clients that feed all types of diet (commercial, raw, homemade). I have seen raw food diets implemented successfully with some dogs, and others who fail to thrive on them for a variety of reasons. That’s why I am a proponent of the food therapy approach, which can successfully be implemented with all types of diet. For my clients here in New Zealand, I’d like to emphasize that the food hygiene suggestions by the FDA do make sense. According to our Ministry of Primary Industries, Salmonella is the second most common bacterial cause of foodborne disease in this country (campylobacter is the first). Incidents of Listeria are rare, but some people like pregnant woman are particularly vulnerable to the disease. 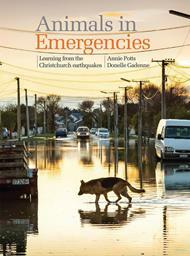 If you live in my local area of Christchurch (New Zealand), you are probably as worn out as I am about hearing about “The Rebuild” and “The New Central City.” It’s been especially frustrating for those of us who want to see a dog-friendly city because our needs are not being met. So here’s one idea for the rebuilt Cathedral Square in central Christchurch. Most of my readers know that I am based in New Zealand, where the Māori people are the indigenous culture. 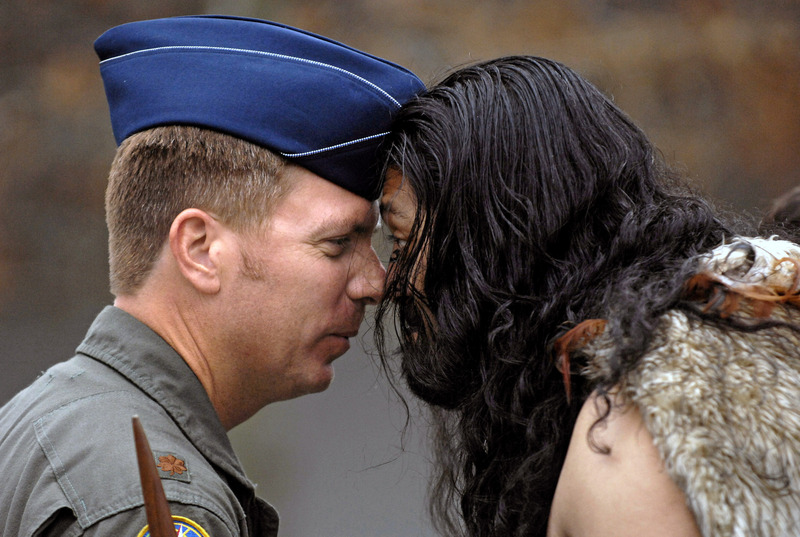 The hongi is a traditional greeting which is done by pressing your nose and forehead to the other person. Well, I have a client who has used the hongi as a training cue for her dog, Dixie. This is uniquely New Zealand cue! What unique dog training cues does your country have?